Prominent & Leading Manufacturer from Faridabad, we offer roofing puf panels. SRG offers wide range of options for architect and designer for roof cladding and wall cladding. 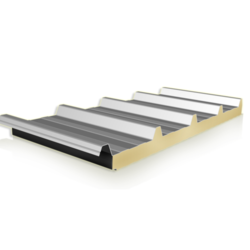 Our Puf insulated roofing sheets are designed to provide the highest level of thermal insulation and performance its has structural integrity and it is also damaged resistance.